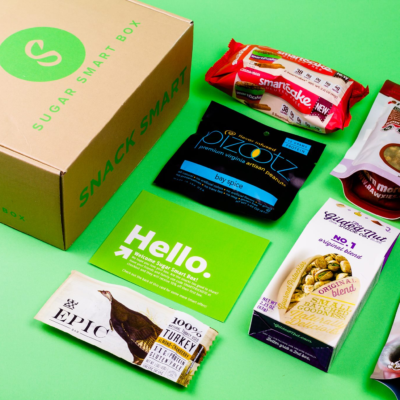 Sugar Smart Box is a subscription that sends low sugar, low carb snacks monthly. 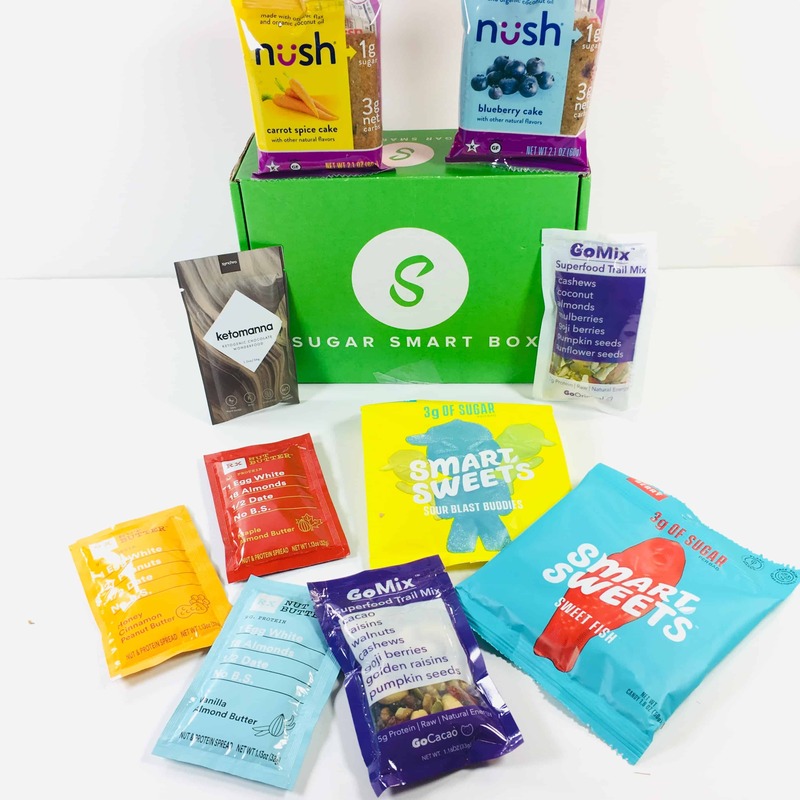 There are two plans to choose from: Sugar Smart Box Mini is $29.95 a month for 5 – 7 low sugar, low carb snacks each month + exclusive coupon codes; Sugar Smart Box is $39.95 a month for 8+ snacks each month and access to Registered Dietitian led Facebook group. 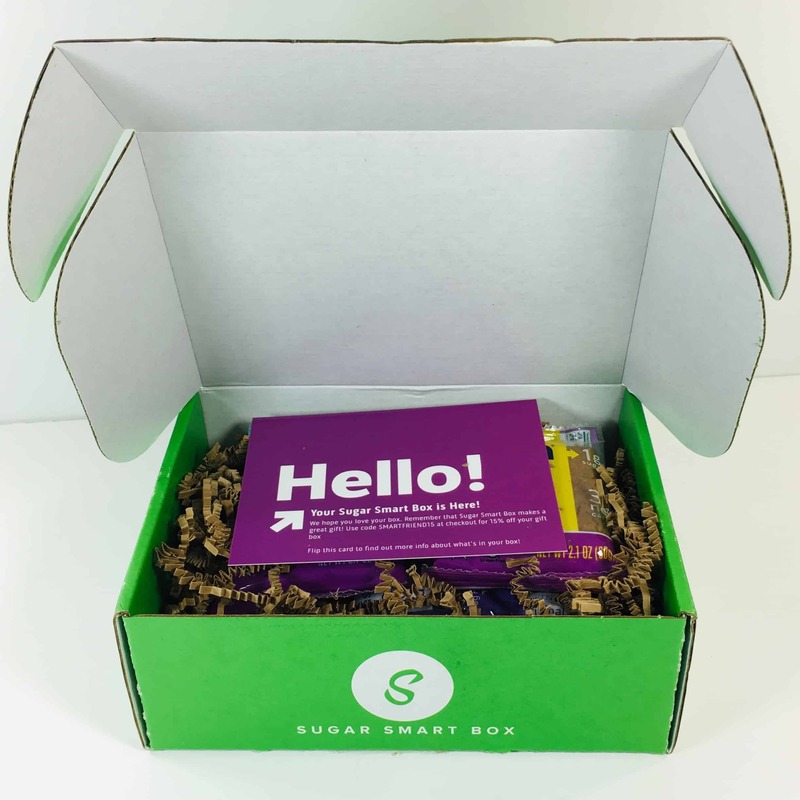 Sugar Smart Box is great for people with diabetes or who follow a keto diet, or for anyone who wants to discover lower sugar snacks. 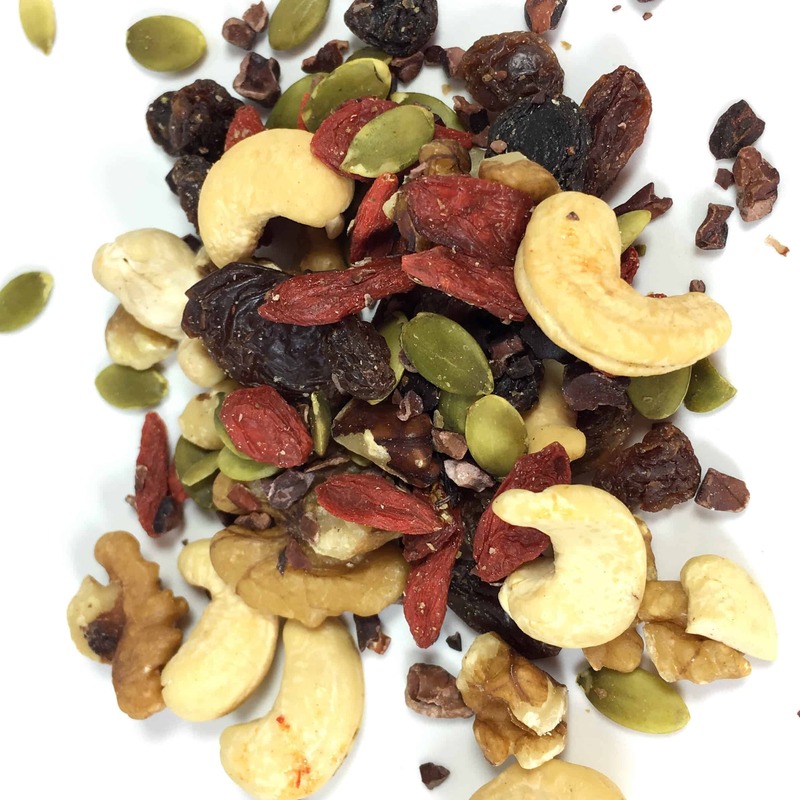 Enjoy snacks that are high in taste but low in sugar and carbs! 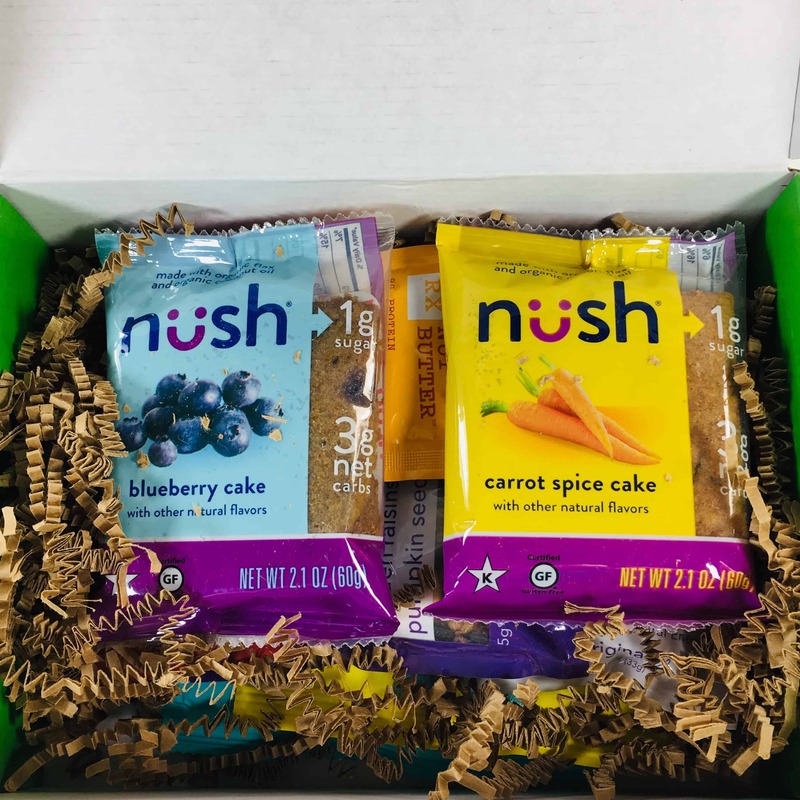 Snack Smart Box delivers healthy snacks to your door every month that are perfect for filling up your pantry, adding to lunch boxes, or bringing to work. 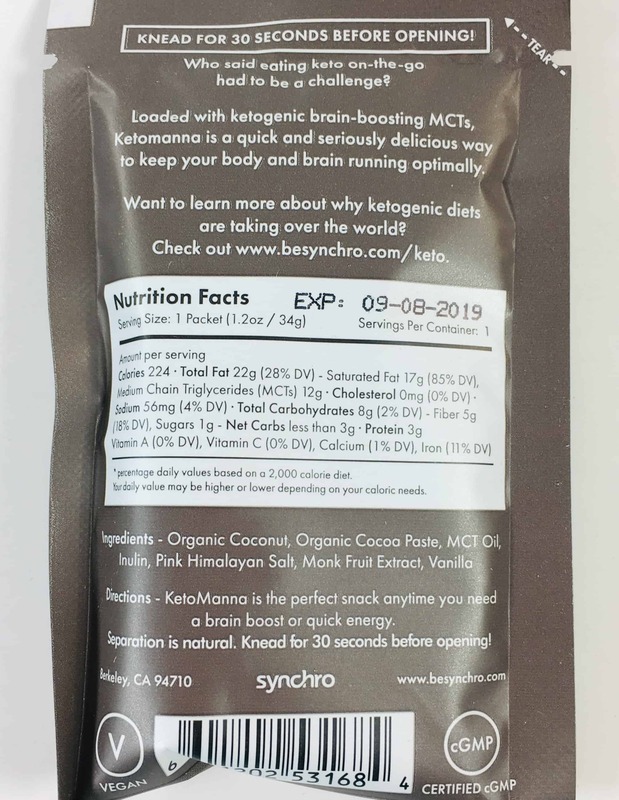 Our snacks are diabetic diet friendly and keto compliant – the perfect addition to a health conscious lifestyle. DEAL: Get 15% off your first box! Use coupon code HELLO15. 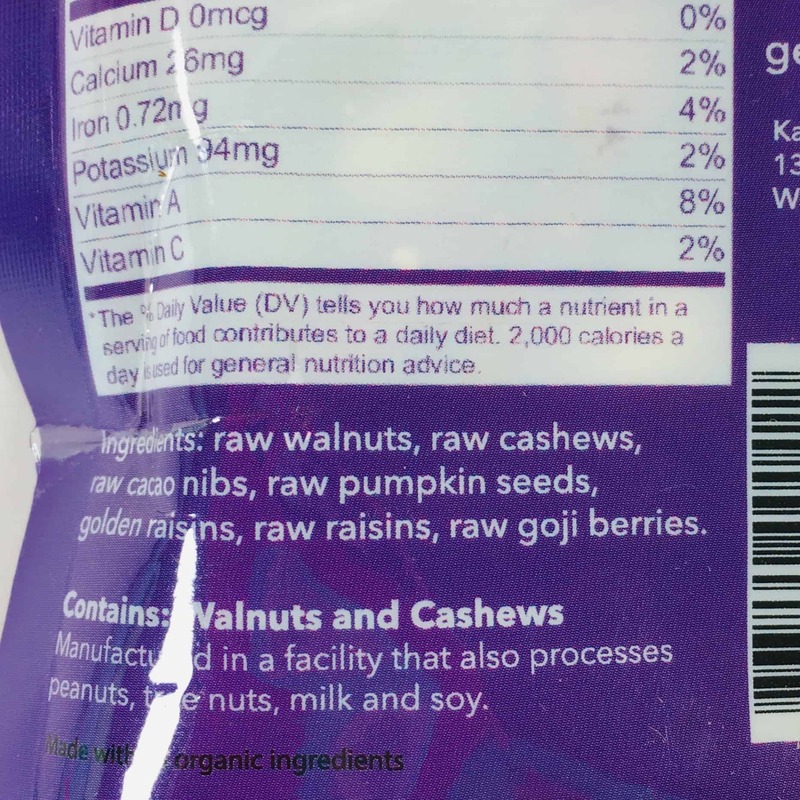 I received a card with my snacks listed along with net carbs and sugar grams. My card says October, but the products match the November spoilers on Instagram so I think this is the November box. My items were packed with shredded paper squiggles. 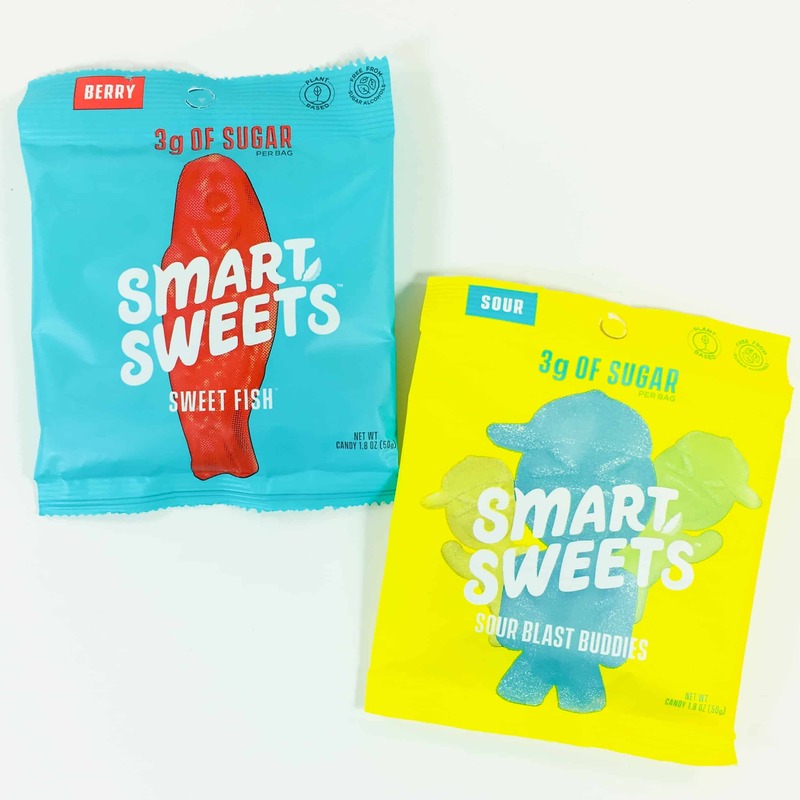 Smart Sweets in Sweet Fish & Sour Blast Buddies ($6.58) Aww, gummies for my daughter! I like that these are lower in sugar than the usual ones we find at the store. The ingredients listed natural fruit flavors and the color comes from fruits and vegetables, and even spirulina (blue-green algae). 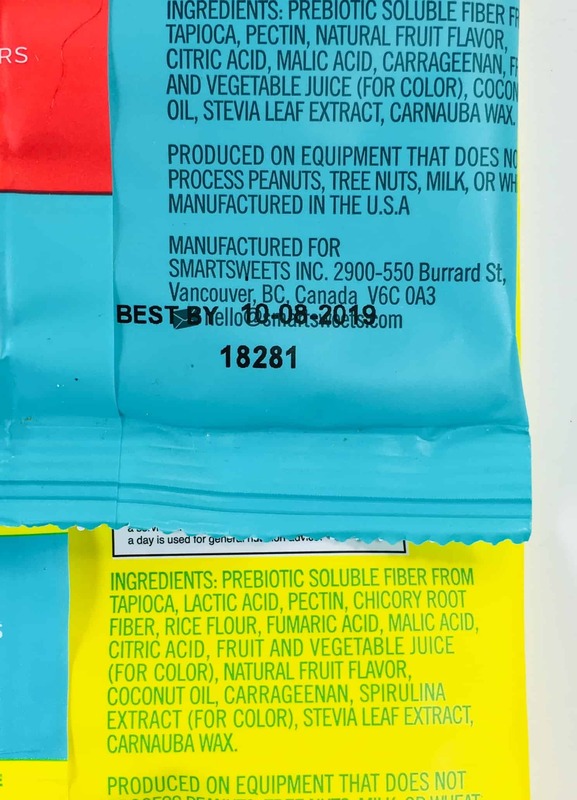 Please note that stevia and other sugar substitutes (like monkfruit) feature prominently in low sugar snacks. 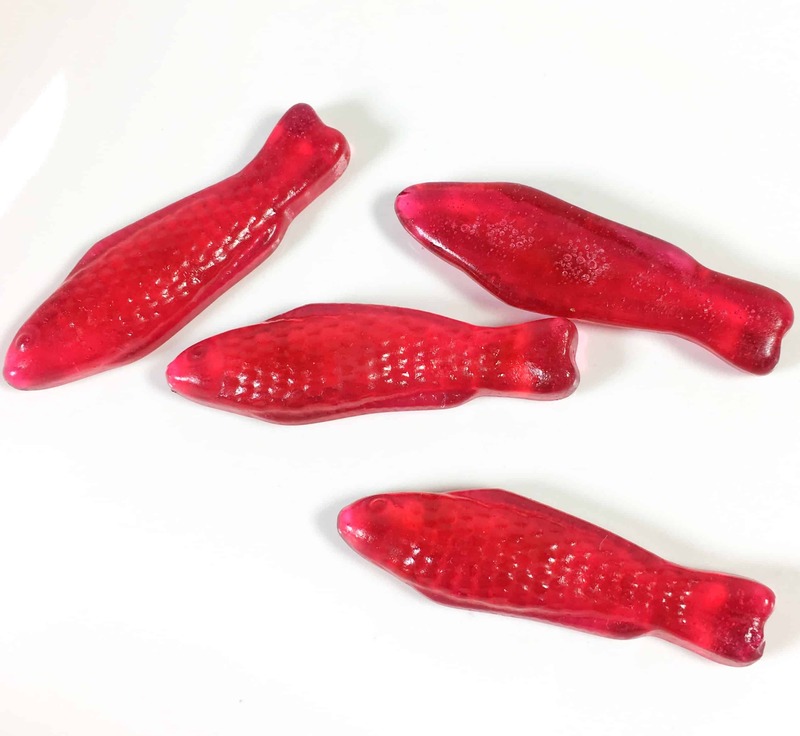 I can’t say what a Swedish Fish tastes like but I did try one of these gummy fish and liked it! I would say it was berry flavored, and while I kept waiting for that weird aftertaste I usually get with stevia products, this one didn’t have it so I give it a thumbs up! I tried one of the gummy buddies and it was pretty sour. 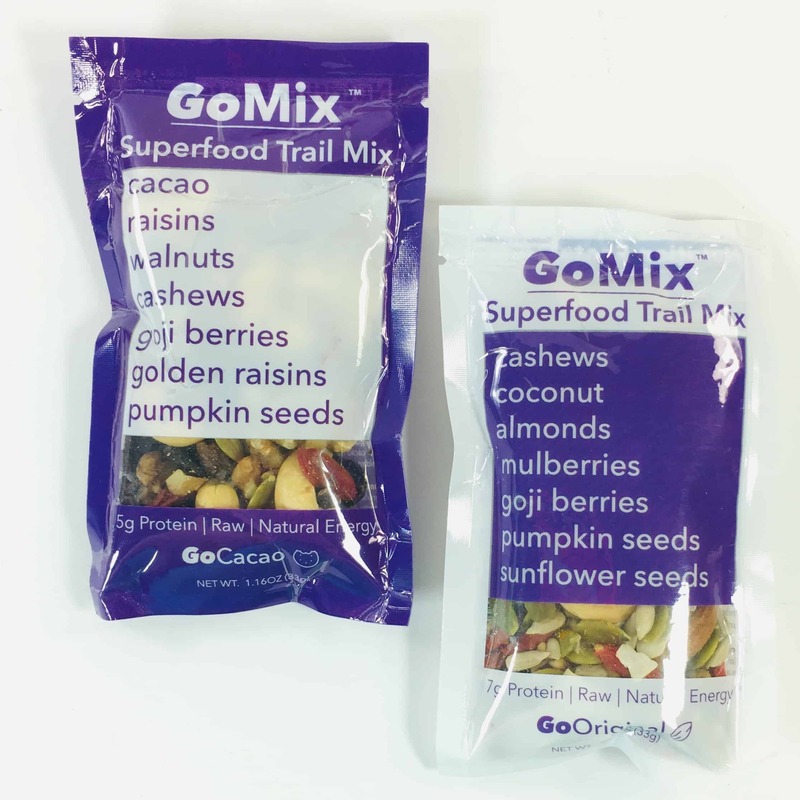 Go Mix Super Trail Mix in Go Cacao & Go Original ($4.75) I love trail mix, any kind. I make my own but sometimes I want to try something new and don’t want to buy 7 different ingredients to put in it but this has them all ready to go. 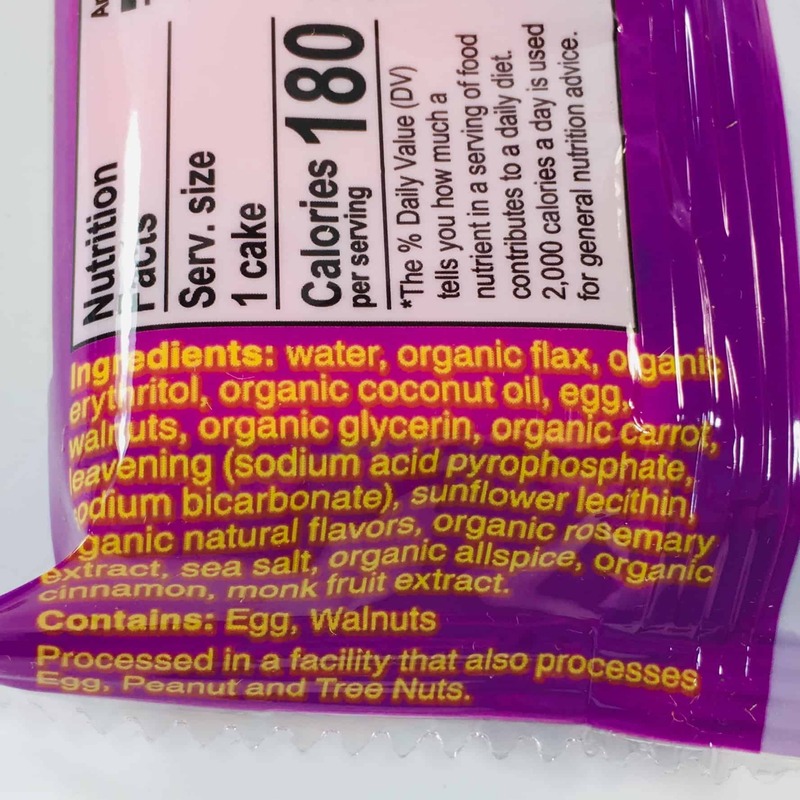 Here’s the ingredients list for the Original flavor. Here’s the ingredients for the Cacao. I tried Cacao and it was yummy, with little bits of cacao nibs and a few different dried fruits and nuts. 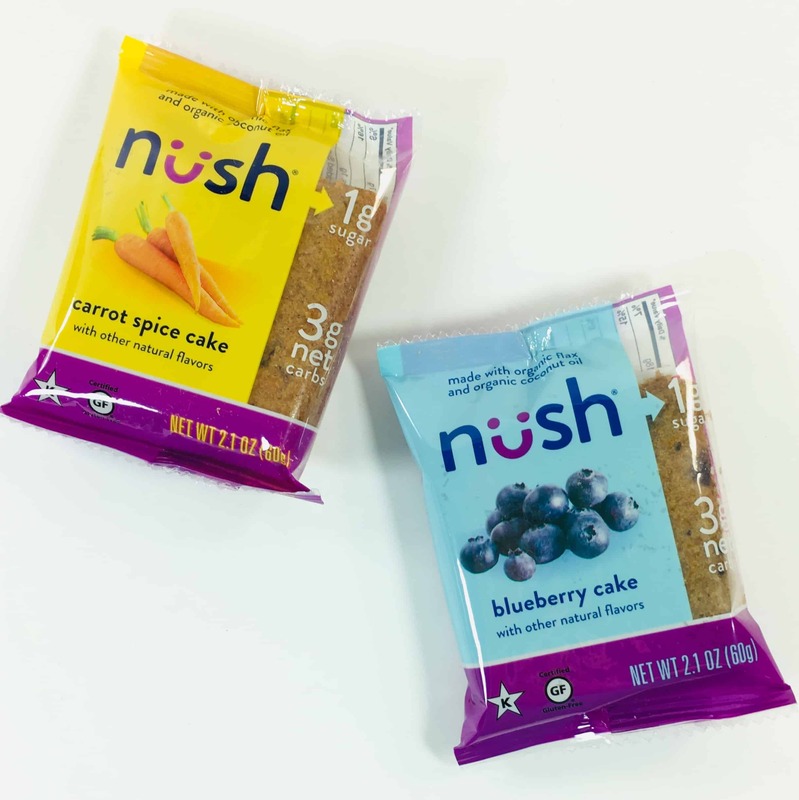 Nush Carrot Spice Cake & Blueberry Cake ($6.96) are soft-baked treats that are gluten-free and ok for keto diets. 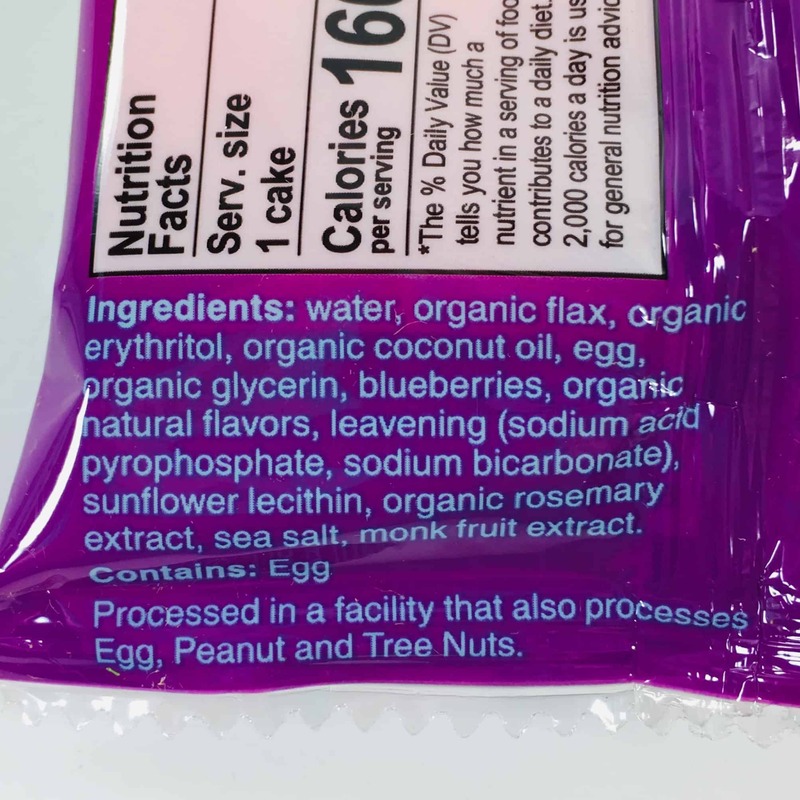 Monk fruit extract and erythritol are the sweeteners in these snacks, while flax provides the bulk. 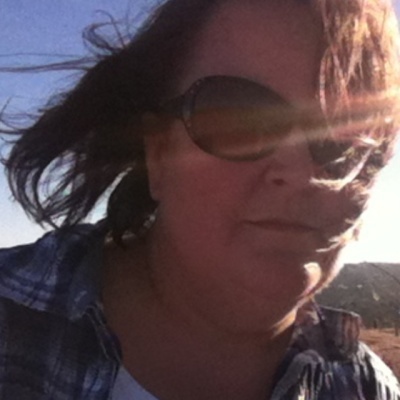 It smelled really good, like a blueberry muffin, but almost perfume-like. There was a bit of crunch, probably from the flax. It had an aftertaste so I passed it on to several family members and they all were not fans of this cake. 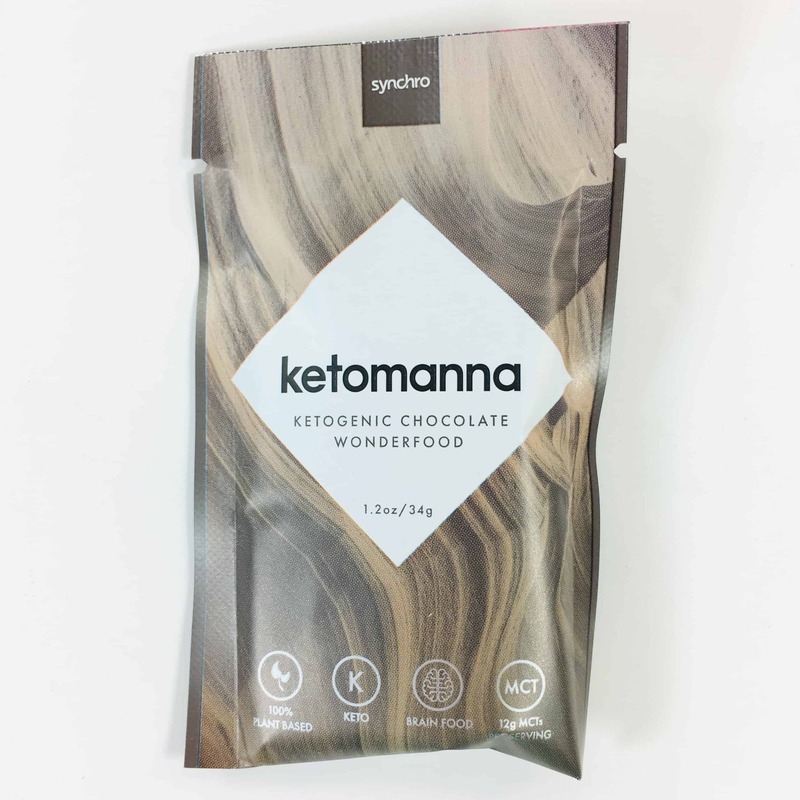 Synchro KetoManna Ketogenic Chocolate Wonderfood ($2.35) I’m not following a keto-friendly diet but if you are, you might want to invest in some of these packs. They are rich! You knead the pack for a few seconds and it liquefies (it might already be a liquid if you get it on a warm day). Just pour it directly into your mouth, or use it as a dip for fruit (if allowed on your eating plan). It was like liquid nutty chocolate. It is sweetened with monkfruit and left only a bit of an aftertaste. 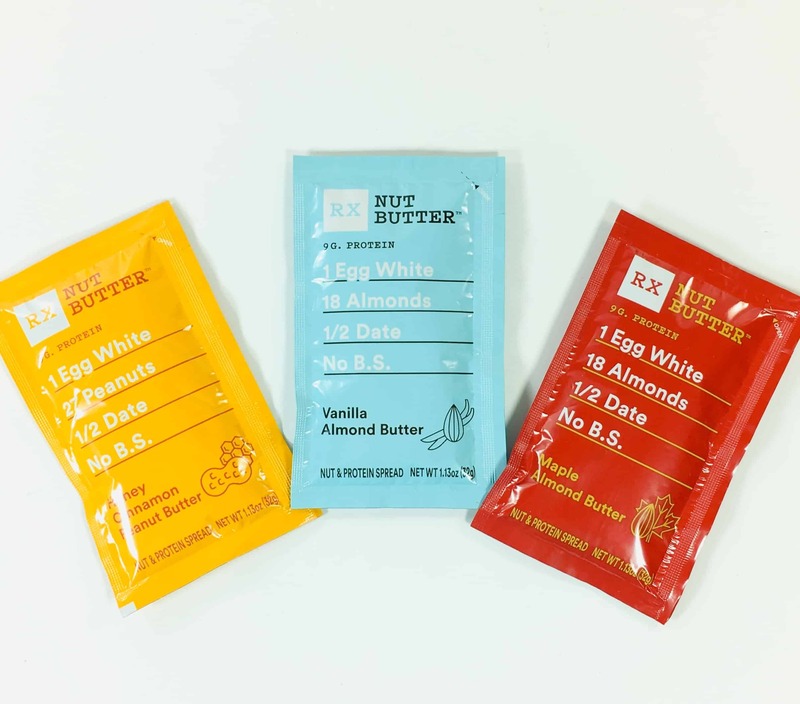 RX Nut Butter in Honey Cinnamon Peanut Butter, Vanilla Almond Butter & Maple Almond Butter ($7.15) I’ve received these before but I don’t think I’ve ever tried one yet. 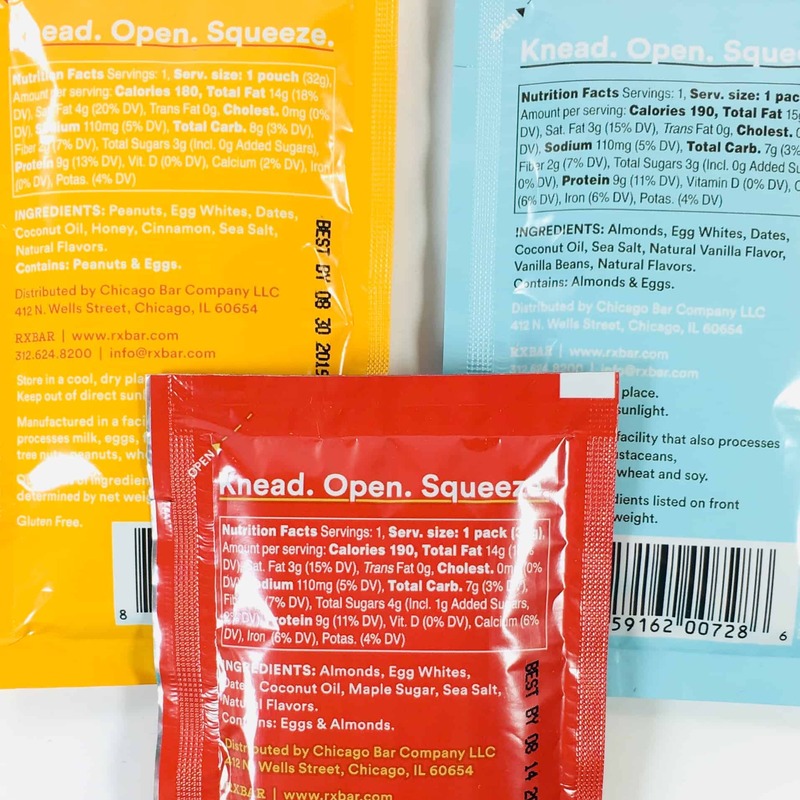 The ingredients were listed on the packs and I had three flavors to try! I tried Maple Almond Butter. 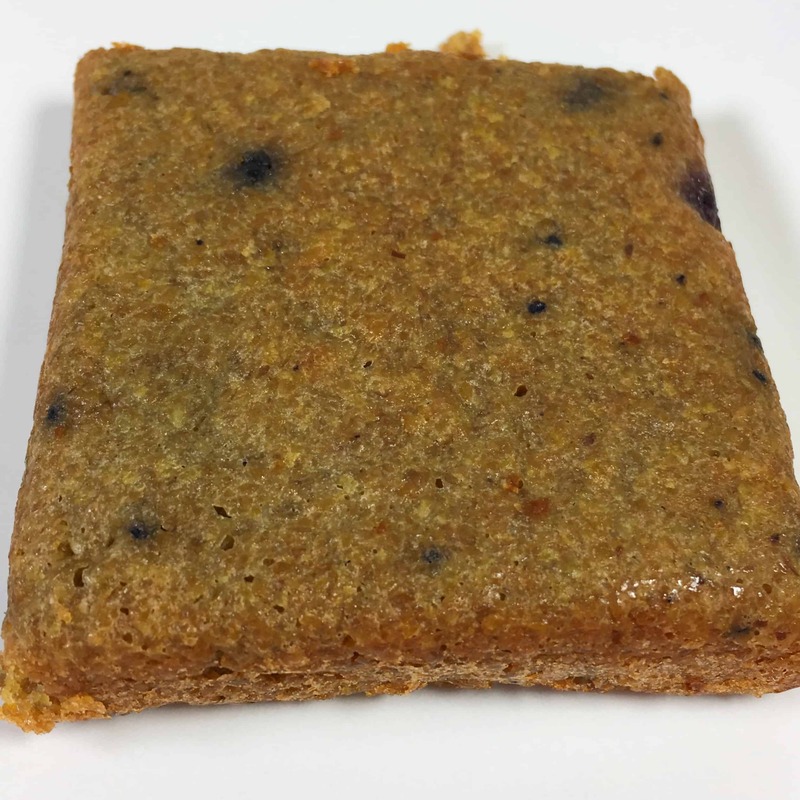 I was really happy with the flavor, it had a sweet taste and the consistency was kind of runny, kind of gritty, as almond butter often is. I ate it out of the pack but think it would be better as a dip for celery or apples. I enjoyed discovering new snacks and treats I found in my Sugar Smart Box! It is easy to grab and go and stick it in a backpack, lunch box, or whatever you carry things around in during the day. My favorite items were the trail mixes while my daughter loved her gummy treats. 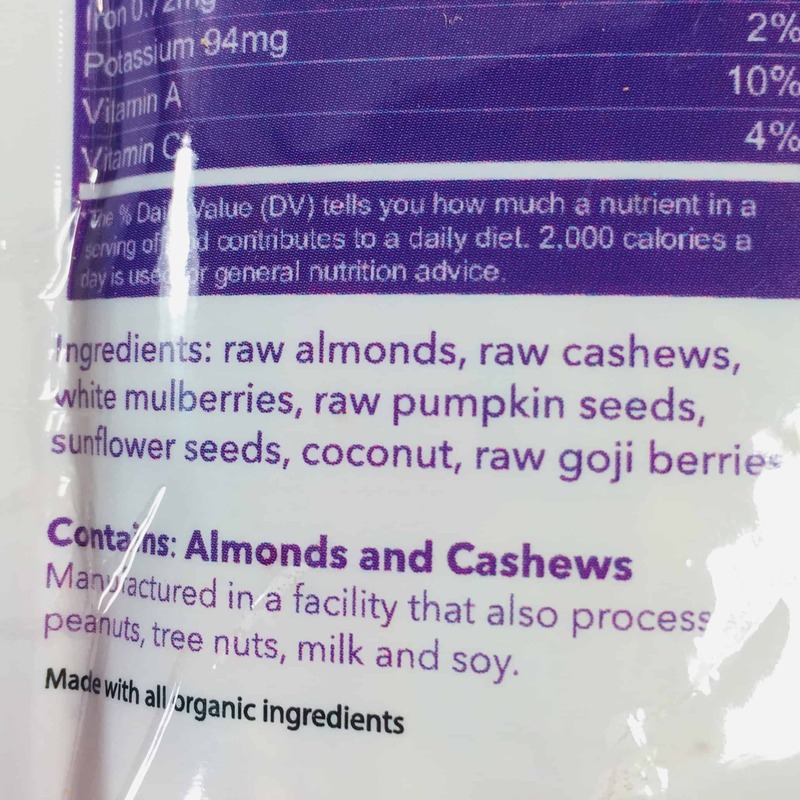 I think this is a good way to discover low-sugar snacks without buying a whole case of them online. If you decide you like something in here, then you can splurge and order a case. 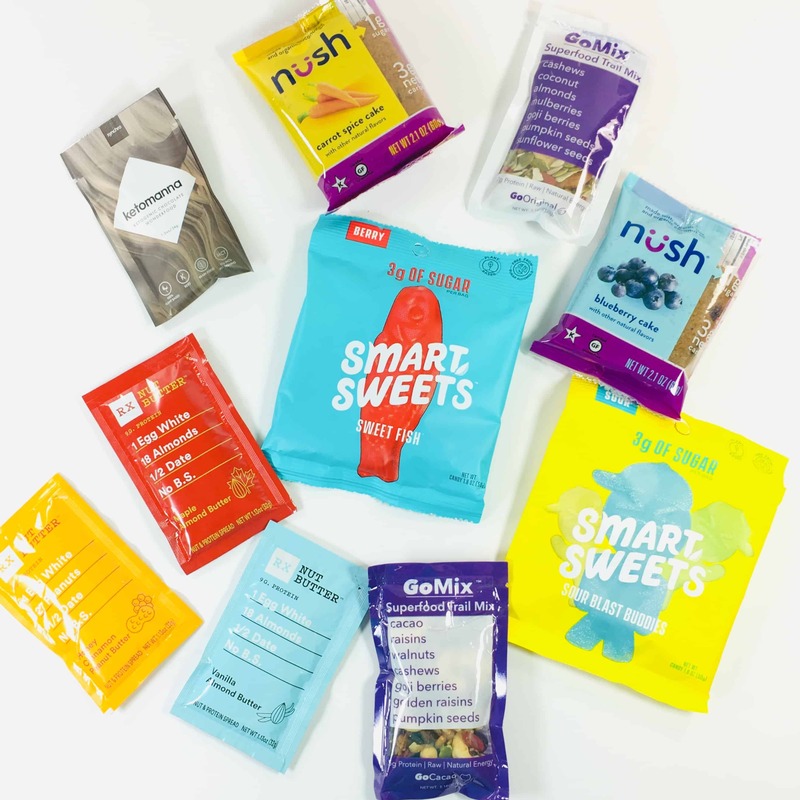 What do you think of these diabetic-friendly snacks from Sugar Smart Box? 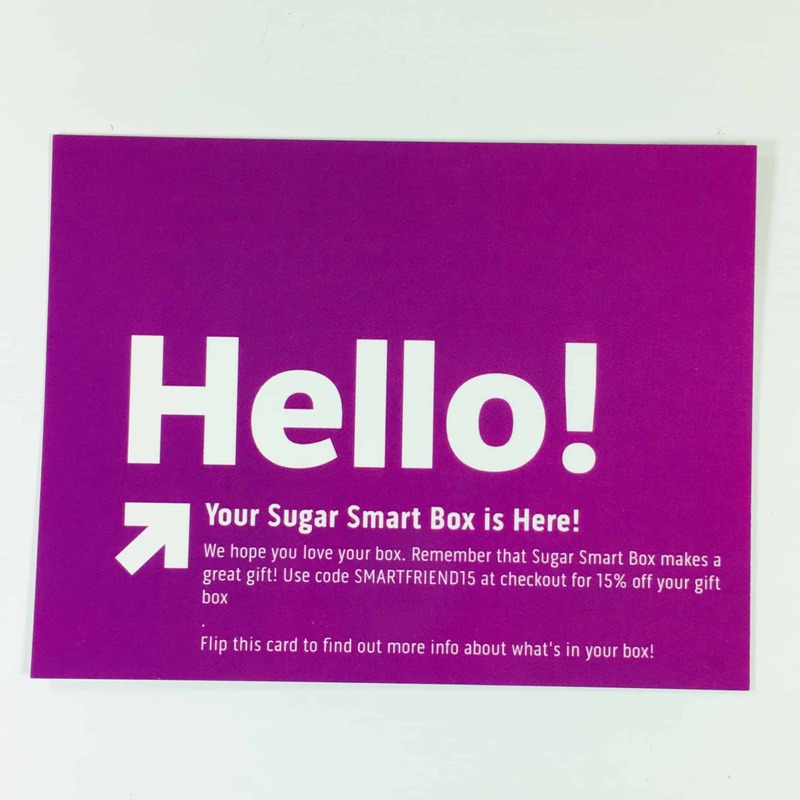 Visit Sugar Smart Box to subscribe or find out more! 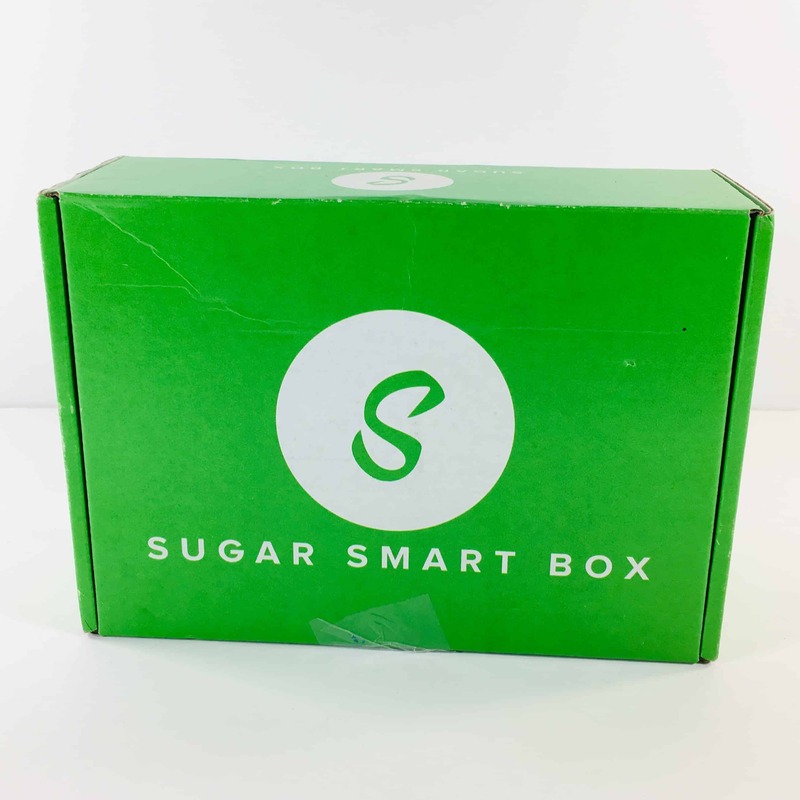 Sugar Smart Box was created with diabetics in mind, yet is perfect for anyone on a low sugar and low carb diet. 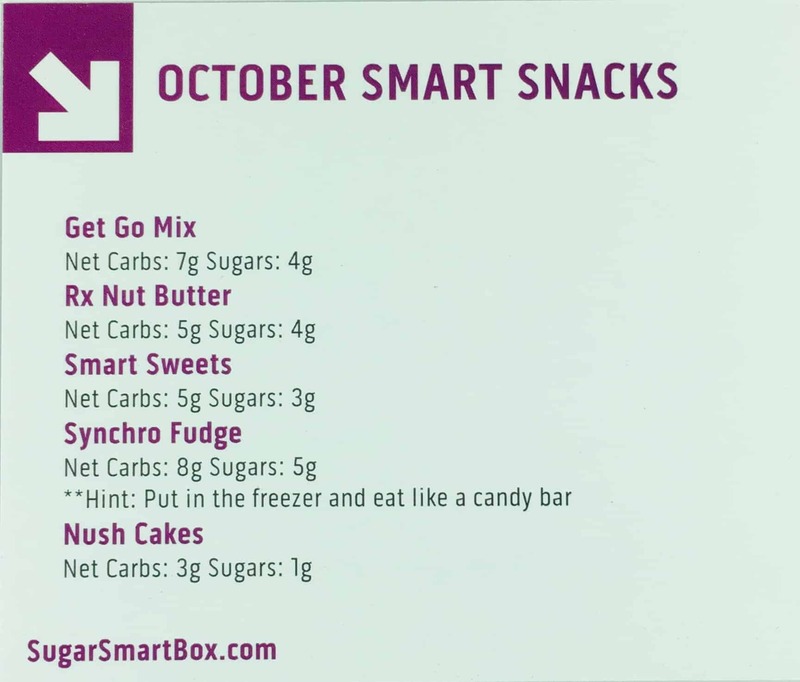 By focusing on low sugar and overall low carb snacks, Sugar Smart Box compliments most healthy eating plans. 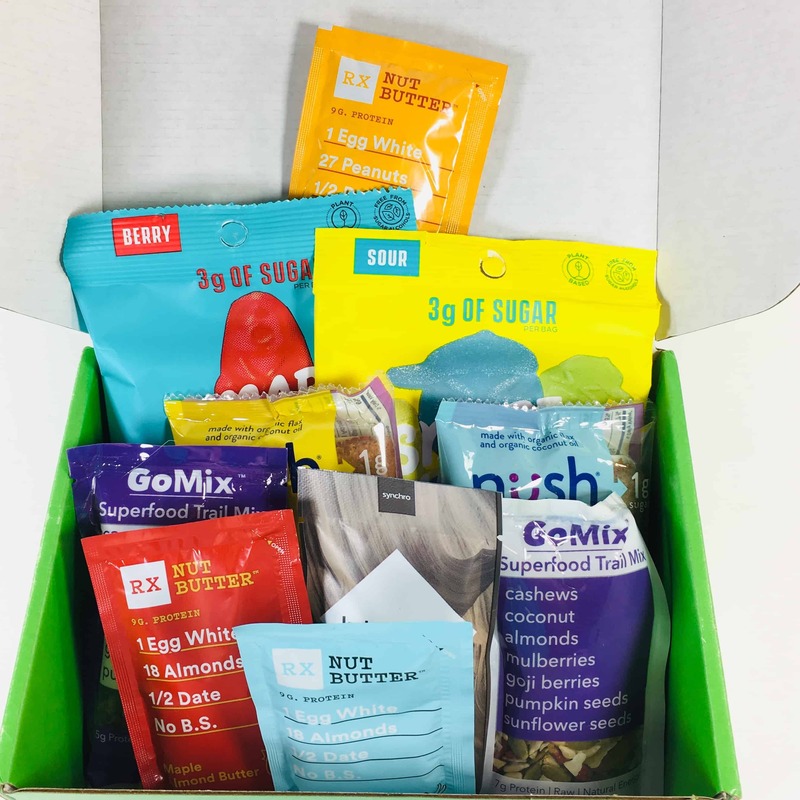 Sugar Smart Box is a way for you to have easy access to healthy snacks with enough variety to not get bored. Get 15% off your first box! Use coupon code HELLO15.